Often when you hear the bagpipes one of the songs that is popular to be played is Highland Cathedral, although the song does have lyrics. The song falls right behind Amazing Grace and Scotland the Brave, as a request for the bagpipes. In honor of St. Andrews Day later this month, I thought this would be a great song to cover. After all, how can you not be drawn to the regal and majestic nature of this songs? 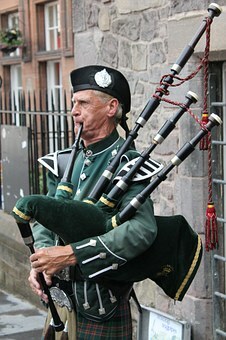 German musicians Ulrich Roever and Michael Korb composed the composition for a Highland Games held in Germany in 1982. Lyrics were later added in both English and Scottish Gaelic, as well as several orchestration variations. There is only one set of lyrics registered with PRS and MCPS, written by Ben Kelly in 1990. Other versions have been tried but this version is the one used at the Scottish Rugby games and other ceremonies. They describe a moment in history when James the 6th of Scotland became James the 1st of England and in doing so united all the land and feuding clans for the first and probably the only time. The tune has been performed by the Royal Scots Dragoon Guards and featured on the album Spirit of the Glen, which won a Classical Brit award in 2009. Many would like to see Highland Cathedral as the unofficial Scottish anthem. The song is often mistaken as a traditional Scottish song, such as Flower of Scotland and Scotland the Brave. The song is played at various Scottish cultural events, Rugby Union Games and is a popular wedding song. The song is also featured in the movie Four Weddings and a Funeral.